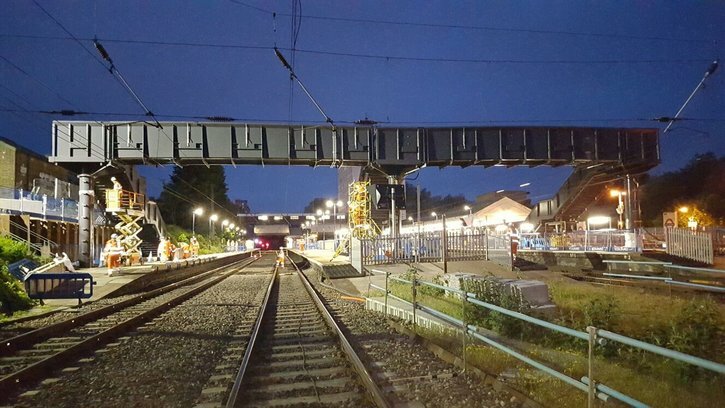 Our Ealing Broadway team has successfully installed the Crossrail West project’s first complete bridge. The installation took place on 21-22 May during a standard 12-hour shift, avoiding the need for a full line possession to complete the works. The works at Ealing Broadway are part of a project across 14 sites from Acton to Maidenhead on the Great Western line to modify the stations to accommodate the operation of the new 10-car, 205m long Crossrail trains.